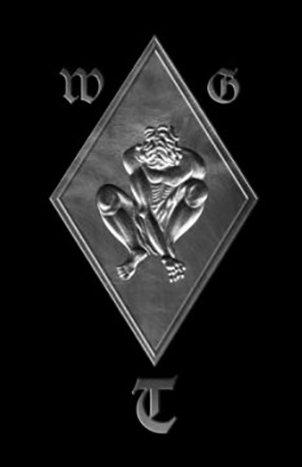 On 28. & 29. 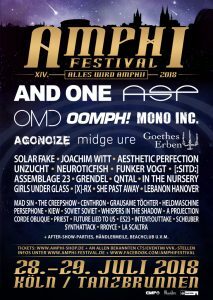 July 2018 the Amphi Festival will open its gates for more than 12.000 spectators from all over the world for the 14th time. Over 40 of the best scene acts will play at the stage at Tanzbrunnen Cologne and the MS RheinEnergie. With the sixth edition of CALL THE SHIP TO PORT it’s “Anchors aweigh!” again on 27. July 2018 for a Rhenish river cruise between a romantic scenery, chummily relaxed anticipation and splendid live-shows aboard the MS RheinEnergie. 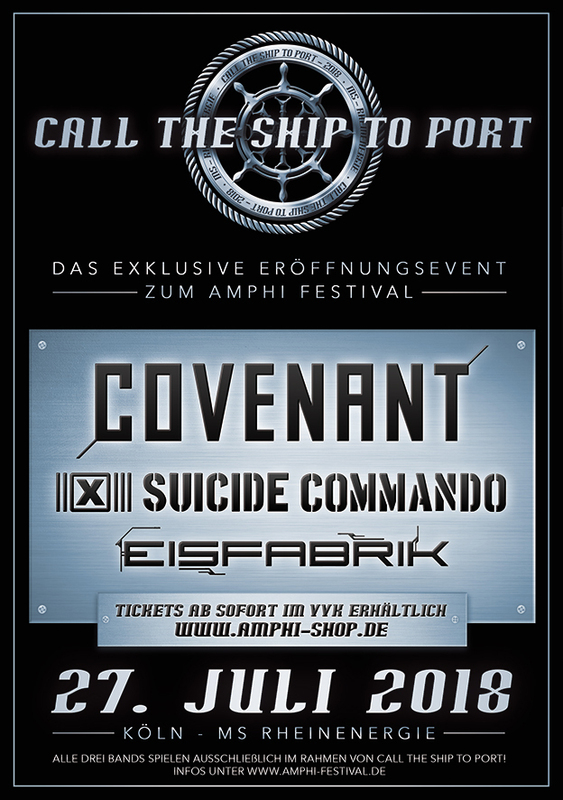 As always tickets for CALL THE SHIP TO PORT are strictly limited (to 1333 pieces) and only available in combination with Amphi Festival weekend tickets. 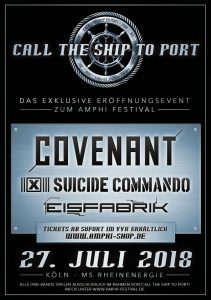 Those of you who did already order their Amphi weekend ticket 2018 may, as usual, order the standalone upgrade ticket for CALL THE SHIP! Pre-selling opens 01.11.2017 exclusively at Amphi Shop. 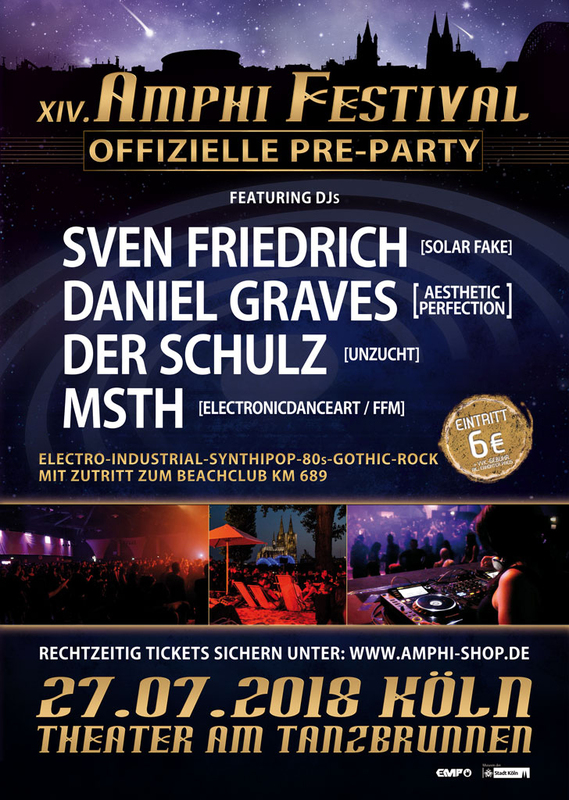 Buy your ticket(s) now at www.amphi-shop.de, while stock lasts. In addition to the sonic pleasures at the Theater, when the weather plays along, the beachclub “KM 689” will add its relaxed holiday atmosphere, in close neighborhood to the party area. As usual you will be able to collect your weekend festival wristband at the pre-party as well. 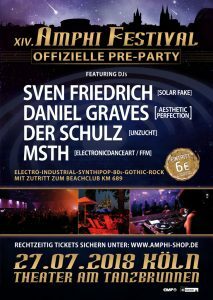 Official pre-party tickets are available now at Amphi Shop, www.amphi-shop.de, at all nationwide CTS/EVENTIM box-offices, online at www.eventim.de, www.oeticket.com, www.ticketcorner.ch and as PRINT@HOME edition. 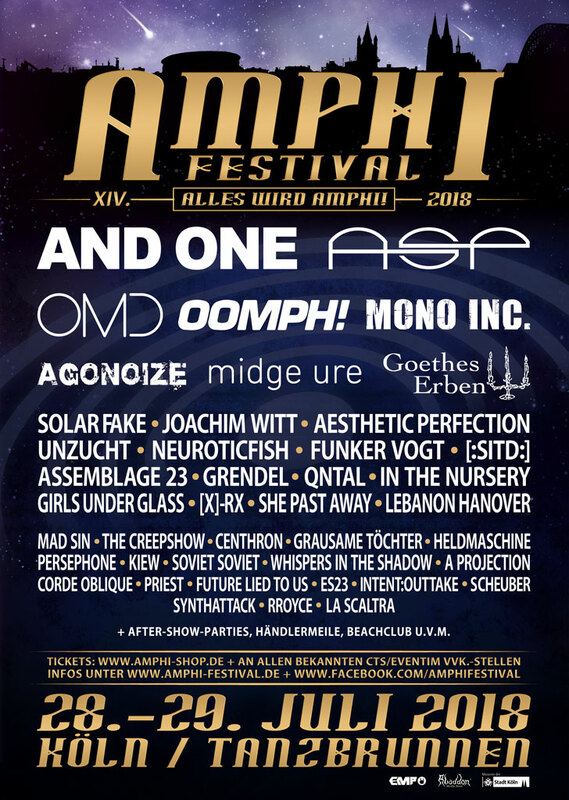 Tickets available at www.amphi-shop.de, at all nationwide CTS/EVENTIM box-offices, online at www.eventim.de, www.oeticket.com, www.ticketcorner.ch and as PRINT@HOME edition.